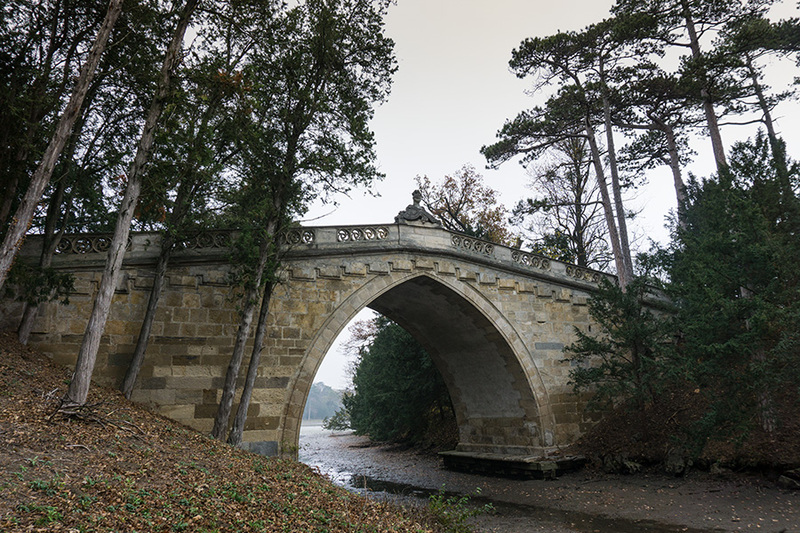 The largest and highest bridge in the park of Laxenburg castle dates back to 1810. At the highest point there is a knight’s bust on both sides of the bridge. The model is from the opposite side.